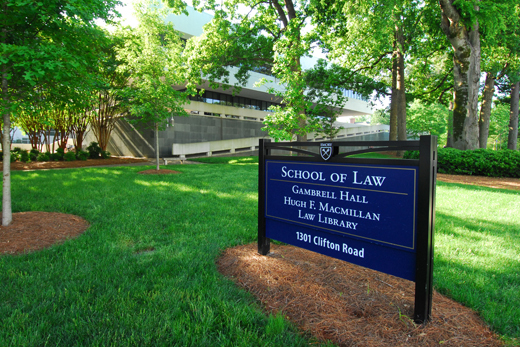 Emory Law has announced that it will join University of Miami School of Law, the Ohio State University Moritz College of Law and Vanderbilt Law School in a “legal residency” program offered by UnitedLex, a global provider of legal services. Image courtesy of Emory Law. Recent Emory Law graduates who participate in the two-year UnitedLex residency program will learn to use cutting-edge legal technologies and processes to provide high-quality and efficient legal services to corporate legal departments and top law firms. Those selected for the residency program each year will receive rigorous classroom instruction provided by senior attorneys, will serve in a supervisory capacity, and will work directly with clients to deliver legal services in such practice areas as litigation management, e-discovery, cyber security, contract management, patent licensing, IP management and immigration law.